It might seem that Beijing’s anticorruption struggle is finally starting to wind down. There’s been a steep falloff in news coverage of that campaign in China lately. Many spaces in the State media that previously focused on Xi Jinping’s crusade to clean up cadre behavior are now filled with admonitions about other issues. Moreover, Xi’s major speech of July 26th, which laid out his agenda and the Communist Party’s current priorities, put the fight against graft near the very bottom. But some here aren't so convinced the campaign can now be put aside. Indeed, at least a few are sure that corruption is creeping back in. An extensive account in recent days that appeared in Nanjing Daily [南京日报] spoke of the need to “persevere, and take strict precautions against a resurgence of the “Four Winds” [锲而不舍，严防“四风”反弹回潮]” of “formalism, bureaucracy, hedonism and waste”—a typology first formally mooted by Xi in 2013 and repeated many times since. These winds are bad breezes, blowing the Party in the wrong direction. Just how stubborn of a problem recently became clear after the city's Discipline Inspection and Supervision investigators, according to the report, received 840 complaints, looked into 364 of them, identified 292 suspects and handed out punishment to 118 officials—with cases against another 135 people still pending. Officials seeking to avoid supervision by authorities by using another name and identification. a small number of party members are beset by inertia in their thinking, that the old concept, the old practice [老做法行事] of accepting invitations of all sorts isn’t only a consistent practice [something necessary] but something reasonable. These officials don't have enough of an understanding of the new requirements; they’re neither self-reflective nor self-conscious enough. 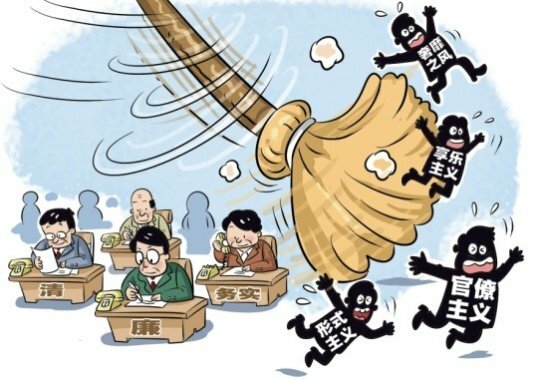 According to the article, “a new pathogen should lead to a new prescription” [新病源开出新药方], and so more reminders and warnings to cadres, better discipline supervision, and enlisting the masses to alert inspection agencies to problems are the remedies required. The very next day, Nanjing Daily noted a different measure being taken: The enlistment of third-party accounting firms to audit the finances of the Yuhuatai [雨花台] District and examine reimbursement certificates, business receipts, meal and office supplies vouchers, and other invoices—items which are often used by corrupt officials to claim expenses that they actually didn't incur. In this view, the problem isn’t educational—that is, officials not taking discipline seriously—it’s institutional. New approaches are needed—more professional, more creative, more interventionist, and working from the outside in. 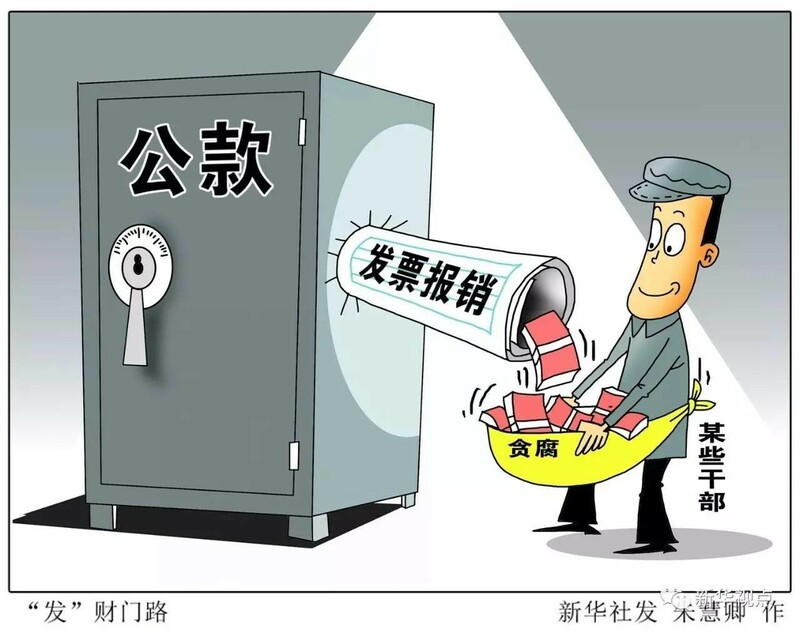 Then, less than a week later, Nanjing Daily itself pivoted, and presented a more optimistic view of the city’s new effort [扎实推进] in fighting corruption, going in far more detail about the myriad number of cases discovered in the first half of the year. The paper cited instances of graft and malfeasance in areas such as poverty alleviation, construction bids, purchase and distribution of vaccines, and greening projects. 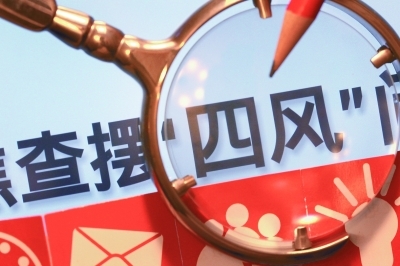 Instead of supporting the previous line of reminding and re-educating cadres about their responsibilities, the article spoke of stricter supervision and control, as well as a wide-ranging reassessment of why corruption persists. Politics and policymaking here in China, especially at the local level, is never simple. It may be that there’s a struggle going on in Beijing, between those who want the anticorruption campaign to continue and those who wish to see it closed down. Those concerned on each side may be using local officials in Nanjing (and elsewhere) as proxies in that contest. It may also be that Nanjing authorities have realized that they have a very local problem on their hands, and that their performance thus far doesn’t put the city of them in a good light—especially during the annual meetings in Beidaihe and in the run-up to the 19th Party Congress. Publicizing their shortcomings is the sort of self-criticism that might save some from deeper trouble. It’s also possible that this set of recent articles is meant to demonstrate the limitations of what Beijing has insisted lower levels of officialdom do—rid their localities of graft first and foremost. To announce these ongoing problems in Nanjing party media could well be an attack on that strategy, and perhaps even the leadership that drew it up. This could all just be a local squall, but it’s more likely a signal of stronger storms to come.